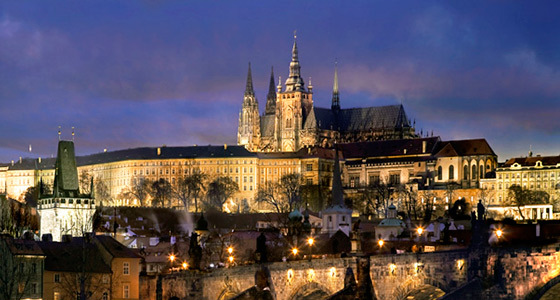 Have you ever considered visiting the Czech Republic? Check out our tavel guide below to ensure you have an easy, stress free and mind blowing amazing trip! 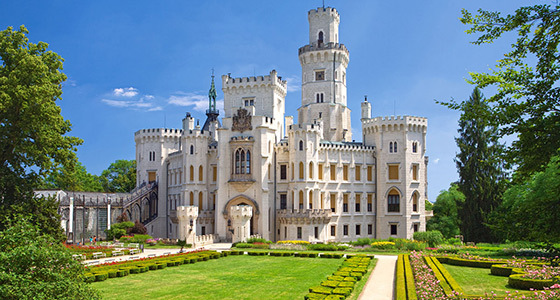 We have provided highlight videos, most popular cities, the best castles, top tier tour guides, flight advice, currency tips, accommodation info, transportation tips, food advice and important phrases. 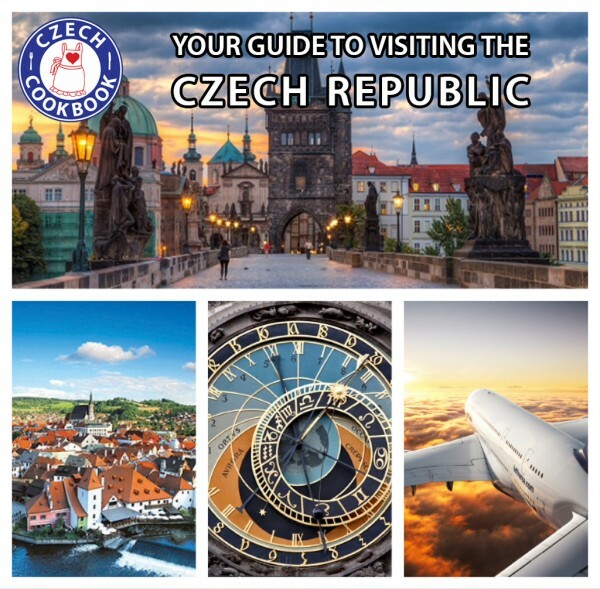 Visiting Czech could not be any easier! Capital city. Awe-inspiringly gorgeous. You could easily spend a week here. Captivating medieval city. Ridiculously stunning. A must see. Home to the original Pilsner Urquell. Best beer on planet earth! The Pilsner Urquell brewery tour is an absolutely unforgettable experience. 2nd largest city in Czech. Where Kristyna was born and raised! Home of the original Budweiser beer. 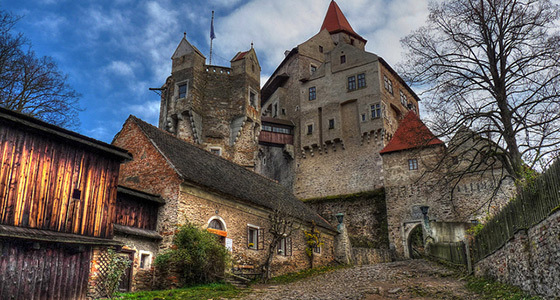 There are literally hundreds of castles, forts and chateaus across the Czech Republic! Here are just a few. Huge and absolutely stunning castle that is the official residence of the President of the Czech Republic. 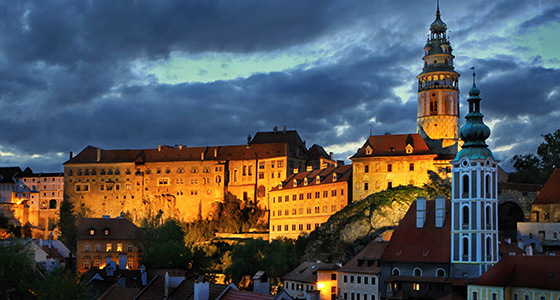 Gorgeous baroque style castle overlooking beautiful Český Krumlov. Gothic style fortress that withstood many sieges. This place is off the charts ridiculously amazing! 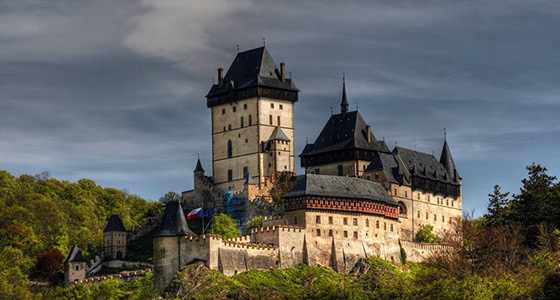 13th century castle, considered one of the most beautiful in the Czech Republic. 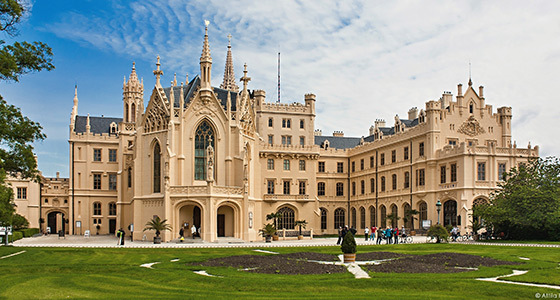 Absolutely gorgeous chateau in the south Moravian region. One of the most amazing medieval fortresses you can imagine. Located in south Moravia. Many movies were filmed here because it’s that awesome! We only recommend tour guides who we know and trust. You can’t go wrong with these people! Žaneta and Richard are wonderful and really go above and beyond to provide an amazing experience! Jana is a real pleasure and incredibly knowledgeable about Prague! 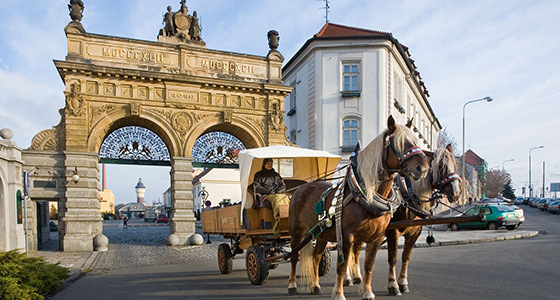 Ondřej provides an enthusiastic and adventurous tour that you won’t forget! Be sure to tip him well at the end of the tour. The experience he provides is worth it! Kristyna and Steve’s airline of choice: Lufthansa. Tip: We use a United Mileage credit card to build up points here in the states. Lufthansa is United’s international partner so every few years we fly to Czech for next to nothing. Specifically we like Lufthansa’s A380, A340 and 747 planes for the longest portion of travel. Tip: A340’s economy cabin has two seats on each side so if you are traveling as a couple you won’t need to worry about disturbing a stranger to get up and stretch or go to the bathroom. 747s have 3 economy seats on each side but toward the very back there are some rows of only 2 seats on the sides. Don’t get the very last row because it does recline but not as much as the rest. A380’s economy seating is only 3 on each side throughout the whole length of the plane. Tip: Check out http://www.seatguru.com to find specific seating info on all your flights! 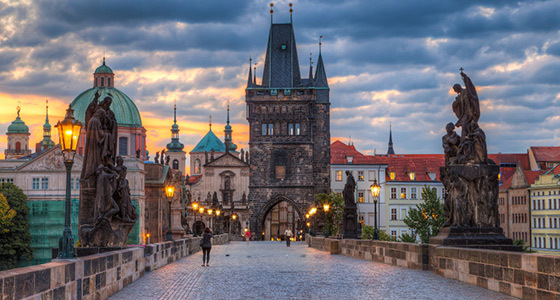 Prague has an international airport so if you are planning to see Prague and other cities in Western Czech, we recommend flying there. You can depart from major US cities such as San Francisco, Los Angeles, Denver, Houston, Chicago, New York and connect through Frankfurt or Munich. Then from there it’s a short connecting flight to Prague. If you plan to see cities in Eastern Czech, we have found that flying into the airport in Vienna (Austria) is a wonderful option. 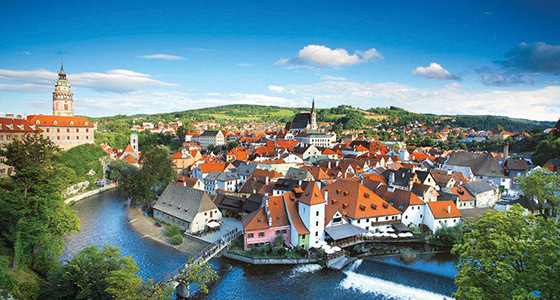 Then it is a beautiful and short drive or bus route north into Czech. When you get to Prague airport, exchange only a little bit of currency so you can pay for a taxi if needed, but exchange most of your cash in the city. You will get a much better exchange rate and there are many currency exchange shops downtown. You can’t miss them. The US dollar has historically been very strong against the Czech crown so if you are coming to visit from the states, your buying power will be nice, especially if you take the extra time to look for deals. Use TripAdvisor http://www.tripadvisor.com to read hotel reviews and check out customer pics. Look for hotel details such as elevator access if you have a lot of luggage or have elderly travelers and air conditioning if you are going in the summer. When you arrive at your hotel be sure to look for brochures of local activities. You will often find wonderful surprises that will make your stay very memorable! You can also find incredible deals on AirBNB http://www.airbnb.com A great way to stretch your budget and travel all over the Czech Republic! Buses. Student Agency. 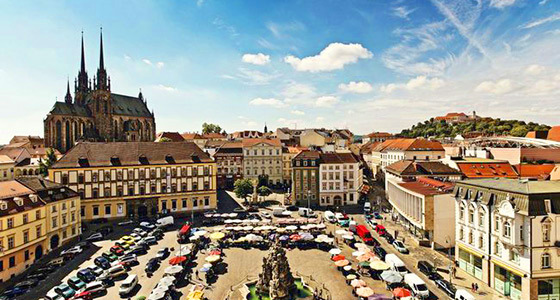 https://www.studentagency.eu/en/ Super affordable way to book travel all over the Czech Republic on high end comfy buses with wifi and free hot drinks! A great way to get from one major city to another. Trains. Also a very affordable way to get from one major city to another, the Czech railway system is a great option! Local trams/buses. Public transportation is a very convenient method to get around any Czech city. You need a pass which can be purchased at most news stands or at an automated machine at most tram or bus stops for an individual ride or up to a week’s worth of rides. Car. A good option if you know somebody who lives here and who can do the driving for you. Driving rules, street lights and signs are sometimes not the most self explanatory for a foreigner. Taxi. An affordable option to get from the airport to your hotel. Sadly some of the taxi drivers will try to cheat. So you should always ask for price per kilometer and check it carefully. Must haves available in most restaurants include Hovězí Guláš (beef goulash), Svíčková (beef sirloin with cream sauce), Řízek (schnitzel), Smažený sýr (fried breaded cheese) and Vepřo knedlo zelo (roast pork dumplings and sauerkraut). Be sure to order a “velký pivo”, large beer, with your dish to complete the overall taste experience. It’s not confirmed yet but Steve is pretty sure that it’s considered a felony in Czech if you don’t have a pivo with your meal. Like many European cities, dining in the main square has great atmosphere but will cost more. 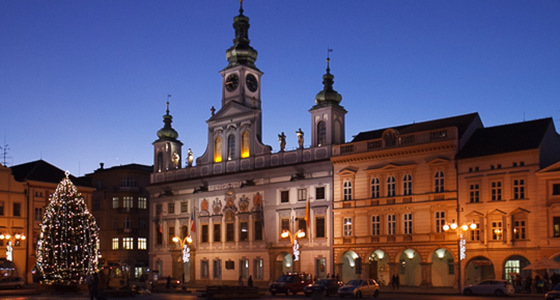 For example in Prague, just a block or two away from the main square you will find restaurants where the locals eat with better food for half the price! Totally worth it to walk around and look for these places. Many restaurants also have lunch specials that they call “Menu” for an insanely low price which usually includes a hot soup and a hot main dish and costs only about 4 bucks! You read that right…. 4… bucks! Who does that?! Tip: Most european restaurants do not give you free water so be prepared to buy bottled water. In Czech beer is often cheaper than water! Czech has great street food available in most places. Some great ones to look for are Párek v rohlíku (Czech style hot dog inside a bread roll) , langoš (Hungarian fried bread) and palačinky (crepes). A great way to save on food expenses is to buy bread rolls, some ham and cheese and make sandwiches at your hotel. A favorite bread amongst Czechs is Rohliky (pronounced Roh-Leeky) with butter. Super cheap and incredibly tasty! Don’t forget to buy some amazing Czech goodies such as pastries or something from the sweets aisle too. Avoid the small convenience shops next to the main squares because they will charge an arm and a leg. Instead look up a medium sized grocery store on google maps and it will likely just be a few blocks away with great prices. Public bathrooms are available but you need to pay a few crowns to use them. The sign for bathrooms is “WC”. Individual stores won’t have bathrooms available to the public but you can find a public bathroom in the middle of a mall or downtown. Bathrooms in restaurants are free if you are a customer. Yes = Ano (ano) You will often hear people shorten this to just “no”. You’re welcome = Prosím (pro-seem) The same word for please is used in this case. Good day = Dobrý den (dobree den) A nice formal greeting you can use with anybody in public. If you can commit just one formal greeting to memory, make it this one. In the mornings or evening locals will know you are a foreigner but at least you are being polite and they will appreciate that. Hey! = Ahoj! (ahoy, as in ahoy matey, like a pirate would say) Very informal greeting and goodbye. Only to be used with somebody you know really really well. Do not use with strangers or they will think you are a crazy foreigner. We’re ready to pay = Zaplatíme (za-pla-tee-meh) Asking for the bill at a restaurant. Czech crown = Česká koruna (chesky koroona) Czech crown, their currency.